The current saga regarding Khashoggi’s murder would prove to be the final straw in the Saudi-Turkish relations. After the unfortunate killing of Saudi journalist Jamal Khashoggi, Turkish President Recep Tayyip Erdogan has relied on leaks and insinuations to pressure and damage Saudi Crown Prince Mohammad bin Salman’s international standing. The tactics deployed by Erdogan have proven to be the straw that broke the camel’s back, leading MbS to lose any hope of restoring the already tense relations with Turkey. For MbS, Israel represents the ideal non-Arab state to integrate into his vision for the region. Saudi Arabia had close relations with Erdogan since his coming to power. The Saudis positively viewed the ascendancy of Sunni Turkey in the Middle East as a balancing act against Shi’ite Iran. 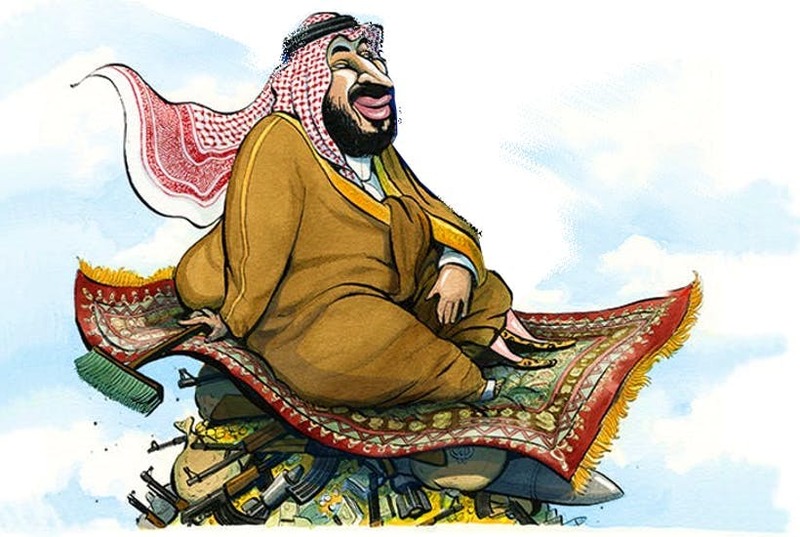 Also, the Saudis welcomed the Islamist orientation of the Turkish government, as it furthered their belief in the imminent rise of moderate Sunnis in the Middle East. However, this close relationship frayed as the threat of Iran grew in intensity due to the Obama administration’s accepting attitudes of Iranian dominance of the Gulf and other parts of the Middle East, and Turkey’s willingness to aid Iranian efforts to circumvent international sanctions. Additionally, Saudi Arabia’s support of the 2013 coup in Egypt further damaged the relationship with Turkey. On the one hand, Turkey declared its unequivocal opposition to the coup, and, to this day, hosts hundreds of exiled members of the Egyptian Muslim Brotherhood. Furthermore, several Turkey-based pro-Muslim Brotherhood channels launch consistent vicious attacks on the Saudi royal family for their support the coup. On the other hand, Saudi Arabia provided crucial economic assistance to the putschists. The relationship reached another low point after Saudi Arabia and its allies imposed a blockade on Qatar in 2017. Turkey sided the Qatari regime and even sent troops to Qatar to safeguard against any potential internal or external regime change effort. Turkey shares with Qatar a desire in bringing political Islamists to power across the Middle East, but Saudi Arabia views the tiny emirate as a destabilizing factor across the region. The current saga regarding Khashoggi’s murder would prove to be the final straw in the Saudi-Turkish relations. No matter how Erdogan and Saudi King Salman bin Abdel Aziz attempt to portray the relationship as brotherly and strong; the damage has been done and their bilateral ties would not recover from this debacle in the near future.